In this commercial from AT&T about its merger with T-Mobile, it mentions how service will increase. It has no where to go but up! The FCC, FTC and DOJ are supposed to ask just one question: How does this merger affect consumers? It all comes down to that. Does a company like AT&T with dropped calls, mismanaged bandwidth, congested network, unused spectrum, and lousy customer service provide a consumer benefit when they merge with T-Mobile? It turns out that T-Mobile and AT&T have the worst customer service according to this survey. So how does combining that make for a better company for consumers? T-Mobile has some of the cheaper plans on the market. AT&T is all about nickel and diming the heck out of consumers - methttp://www.blogger.com/img/blank.gifering usage on voice and data on wireless and wireline. T-Mobile has even dissed AT&T in ads! 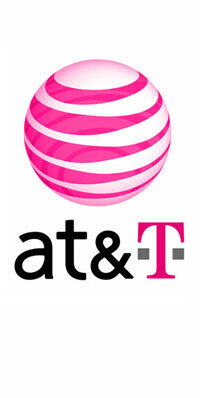 AT&T and its Union say that this merger will create jobs! Since when? When has ANY merger CREATED jobs? And finally competition. The FCC won't say if the Wireless Industry is Competitive. Without competition, it becomes a 2-horse race, which we know from history is a bad deal fohttp://www.blogger.com/img/blank.gifr consumers. Lots of competition creates an environment on innovation. I'd like to think that the current FCC will say No, but it is in a state of change (see here about Baker leaving for Comcast (<- nice!) and Copps is term limited). So who knows? Add in that AT&T has upped its lobbying spend this quarter and its strong ties to the government (via the NSA for example) and we will likely see this merger go through, to the chagrin of consumers and the industry as a whole.